LITTLE ROCK, Ark. (April 23, 2012)—Bullet Weights Inc. of Alda, Neb., is proud to continue its support of the Future Fisherman Foundation (F3) to be sure educators using F3 programs such as Hooked On Fishing Not On Drugs and Physh Ed have access to environmentally friendly weights to use within their classrooms. Thirty four participants found their way to the Utah Department of Natural Resources Salt lake City office to participate in the 5th Future Fisherman Foundation Regional training series seminar on Monday and Tuesday. The Future Fisherman Foundation and the Utah Department of Natural Resources have teamed up to offer the 5th in a series of Aquatic Education and Fishing Skills workshops. These events are designed to get more adults qualified which translate into getting more students involved in the sport. The training seminar is set for March 19th and 20th at the Department of Natural Resources Auditorium at 1594 W N Temple Salt Lake City, Utah 84114. Classes will begin at on Monday from 1pm-5pm, Tuesday 9am-1pm. “We are very excited to bring one of the Future Fisherman Foundation’s Train the Trainers” seminars to the state of Utah” stated Community Fisheries Biologist Tonya Kieffer. 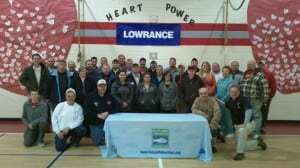 “Our community fisheries program continues to expand throughout the state and this will give all of our community leaders and state educators a chance to see additional training techniques and opportunities to influence students”. The “Train the Trainers” series of seminars is made possible through a grant from the Recreational Boating and Fishing Foundation to the Future Fisherman Foundation. 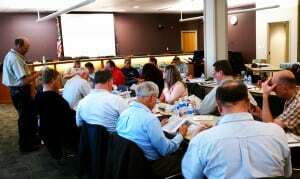 To date they have conducted seminars in Hot Springs Arkansas, Kalamazoo Michigan, Ocala Florida and Richmond Virginia. F3 Richmond Training Participants Brave The Snow to Make Training a Huge Success! 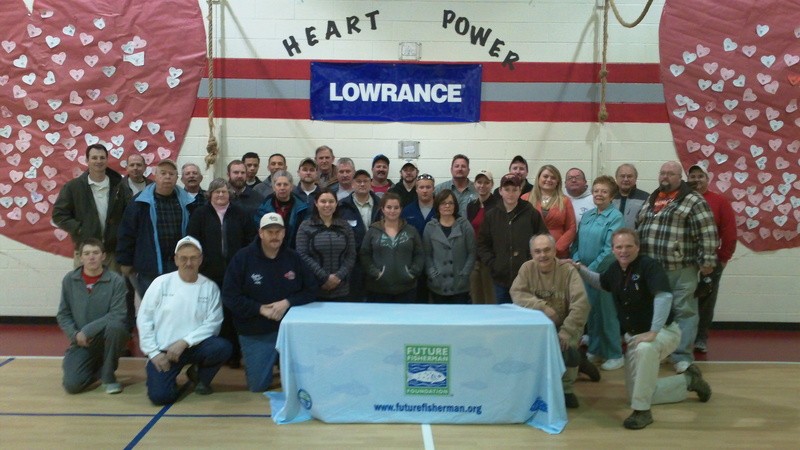 A full class of participants braved an incoming snow storm to fill Harrowgate Elementary School in Chester Va. for the fourth in a series of five regional training seminars produced by the Future Fisherman Foundation and the Recreational Boating and Fishing Foundation.